I wanted to read this book after reading 'The Curious Incident of the Dog in the Night-Time'. I now understand why it won so many prizes, it's not easy to write Marcelo. After reading the first pages I wanted to protect him from the 'real world', especially from his lawyer father who expects him to be normal. Marcelo has been on a special school all his life, where he can go at his own rhythm and do what he loves, working with horses. But his father thinks Marcelo would be better if he works at his office for the summer and prepare for the real world so he could go to a normal school next year. 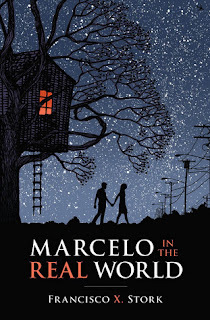 Obviously Marcelo refuses, but after all his father is stronger than him and that's how Marcelo starts this journey where he will learn how to interact with people, understand what is right and wrong, and take charge of his life. Marcelo has something like Asperger, but that didn't make it difficult to relate with him. I think most teenager live similar situations, after being protected by your family, you have to go to the 'real world' where there is a lot of bad people, some good, and doing the right thing is not easy. Although it took me some time to finish it, I really liked Marcelo in the Real World. 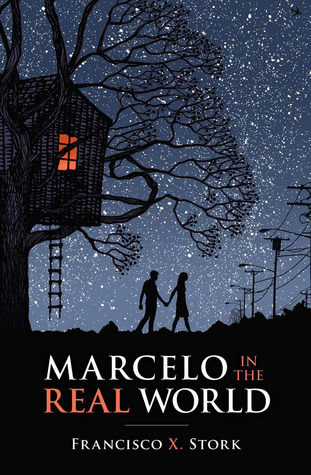 It's one of those books that leaves you thinking and with feeling, sometimes sad about how Marcelo was treated, other times just thinking....Marcelo is one of those guys who ask big questions. I feel like some things were left unresolved, but I still recommend it. It's not the typical young adult book. 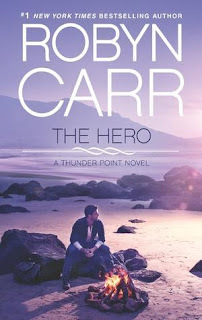 The Hero is the story of Devon, a young mother who is escaping from her 'safe' home, The Fellowship, and is found by Rawley, an old man who works at Thunder Point town and is willing to help her and her daughter with everything they need. Devon was a very interesting character. Not only she's escaping from The Fellowship, but also from her ex lover and father of their daughter, who is the one in charge of The Fellowship and also father of the other children from the group. She has absolutely nothing, and is scared. But with the help of the people in Thunder Point, she starts to live her life as it's supposed to be. She also finds love with Spencer, the recently widowed father. Maybe it's too soon for both of them to have a relationship, but something is calling them and in a few weeks they are in love. I liked this book mostly because of Devon. She's one of the strongest characters I've read. Obviously is wasn't a smart choice to enter The Fellowship, but she is brave to escape and try to rebuild her life. I already knew Spencer's story from the previous book, but I didn't click with him. I thought their romance was super fast, it wasn't the most important thing in this book, and also didn't like that he was scared after trying so hard to convince her to be together...he was even a little bit mean. But it was nice to read a little bit more about Rawley, always lonely and silent. I think he was the real hero is this story! In case you didn't know, The Book Thief by Markus Zusak is one of my favorite books! I read it a couple of years ago thanks to a giveaway I won, and loved it so much that I bought the spanish edition for my mom to read it. I love when I read books without any expectations or thinking I'm not going to like it and end loving it. I really want to re-read it soon and translate the review I wrote in spanish years ago! the week and make you jealous! Genetically altered by the Organization, Annie Fox takes down criminals CIA-style with her luminary strength. 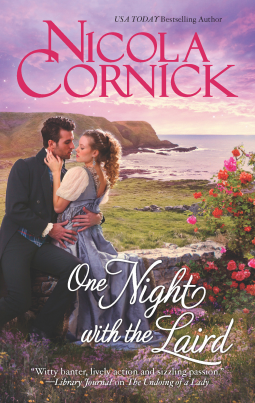 With nothing to mend but her broken heart, she is relentlessly pursued by her boss Derek Lake. 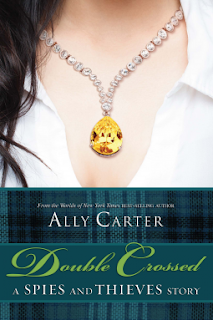 Just when Annie is about to give him a chance, her ex-husband unexpectedly comes out of hiding. 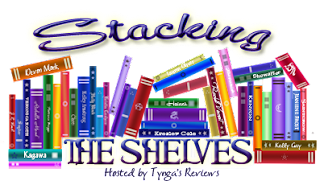 I'm participating on a tour for this book, my review should be posted September 24th. 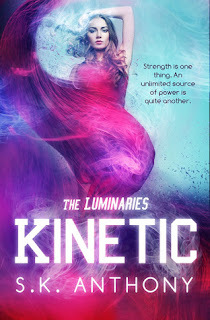 I don't really accept books for reviews because I never have enough time, but Kinetic sounds interesting. I'm not used to read about a divorced protagonist but sounds like a good paranormal story. 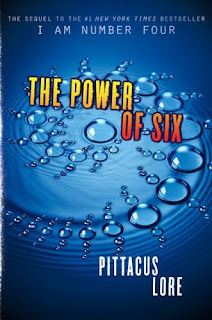 The Power of Six is the second book of the Lorien Legacies and follows the story exactly where I Am Number Four left us, with Four, Six and Sam escaping. Basically it's just them escaping and trying not to get caught by the police or the Mogadorians, while they discover more about their past and powers. 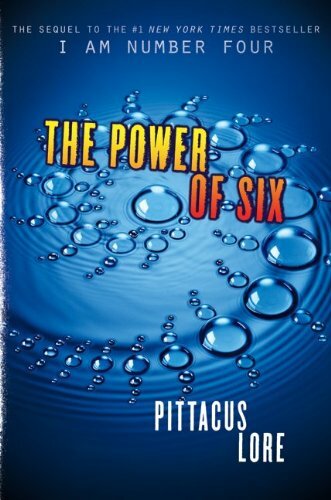 But this time it's not only Four the protagonist, but also Seven. She has a totally different life, but she's sure John Smith is one of them...the problem is convincing her cepan. Her only choice might be escaping before the Mogadorians find her...but what if other allies found her? I really enjoyed reading Seven (Marina). Her life was much more interesting, or maybe I thought so because the only thing Four, Six and Sam where doing was running and getting caught in a love triangle-quartet that didn't seem to be important for the story and bored me. But I still liked to discover more about Lorien, their past, their powers, Sam's father and even number Ten. It was a book full of action, fast paced, and the ending left me kind of surprised in a good way and wanting to read The Rise of Nine soon. 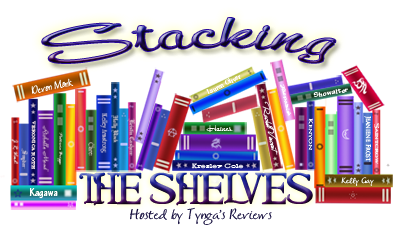 Definitely recommended to fans of these series, or if you want to try and see spies and thieves are for you!